CultureGPS: This app shows you the 5D model that explains intercultural differences in terms of 5 key factors they have researched. Then you can look up a country, and see how people traditionally behave in each category. Very handy to have a deeper understanding of a culture’s social behaviors. World Customs and Cultures: This one is pretty cool, though you may want to verify all the accuracy. Essentially, pick a country and get a fantastic list of essentials to understand – how people greet one another, eye contact traditions, gestures, Gender issues, taboo behaviors and more! Fantastic way to get a high-level understanding of a foreign culture! Fr.Culture: This one is specific to France. Gives you access to some typical French music, TV and more! Country & Area Codes: Haven’t personally tried this one, but it offers a solution for understanding country codes and area codes when you need to dial another country which could come in pretty handy! MojoLingual: quick translator between any two languages! MLD: A pretty powerful tool to help you translate words From and To about 25 different choices. (e.g. Spanish to French, English to Czech) and it even speaks the words for you! iTranslate: Another app offering the possibility of translation from any, to any, language, with slightly more options than MLD offers. Cultures: This one is pretty cool – pick a country and get access to really needed information, such as Communication Style, Eye Contact, how to greet people, how to properly make gestures (really important! ), how time is viewed, and more! Business Meetings: Look up “The Brannen Group” – they make several of these apps offering very useful information for how business is conducted within a given country. 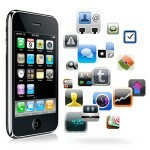 Do you have any favorite cultural iPhone apps? This entry was posted in Expat Focused and tagged crossing cultures, iPhone, iPhone app. Bookmark the permalink. Post a comment or leave a trackback: Trackback URL.